It doesn’t take a rocket scientist to realize that Miami is going through some massive changes at this precise moment! Even amidst all of the climate change cries, Miami proves to stand strong in the real estate market as investors continue to take the risk of helping Miami expand. Not only has the Miami real estate boom been fueling the economy, but it’s also been the cause for new Miami projects to spring up out of the woodwork! The surge in real estate has caused some of the most exciting new Miami projects to emerge in 2014 alone; however, most of them will not be completed for quite some time. Fisher Island showed some of the most recent new Miami projects with the first apartments springing up on the exclusive island for the first time since 2007. Backed by the demand for real estate, the new apartments appeal to homebuyers who are looking to join the luxurious island. This new real estate addition, however, is the smallest of the exciting Miami projects that are to be launched within the coming years. One of the most speculated Miami projects is the upcoming Miami World Center. 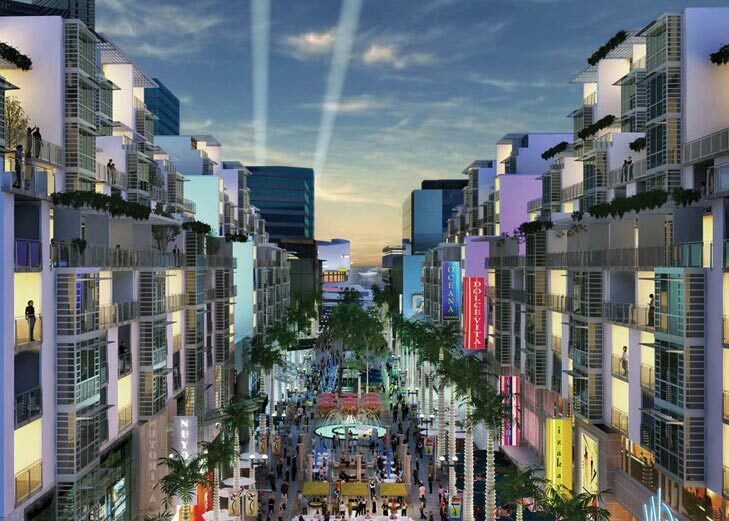 Although the initial proposal came with much opposition, the project promises to be transformative to the overall image of Miami, with over 1 million square feet of retail space, 1,800 rooms dedicated to the Marriott Marquis hotel. Reports suggest that the project is the largest development project that is currently taking place in the United States, generating approximately $1 billion in economic growth for the region. Not to mention, the project will be connecting to another new Miami project! The new Miami World Center project would be connected to the Miami Central Station. The new project titled MiamiCentral would be a massive change to the downtown Miami scene. Not only would the station boast remarkable architectural design, but further drive the economic growth of the city. More excitingly however, the new project would be the flagship icon of the All Aboard Florida project that promises to connect major destinations of South Florida via train. These are simply a few among the new Miami projects that will be springing up within the next coming years. Some of which, we’ll see sooner than others. However, one thing is for certain, the new projects will promise to revolutionize the way Miami is viewed as a destination city. Even more so, the combination of the financial growth and real estate success will only continue to amaze Miami natives by cultivating future growth! And we can’t wait! This entry was posted in investor properties, real estate and tagged investor, Miami, Miami projects, Miami World Center, MiamiCentral, projects, real estate, upcoming.